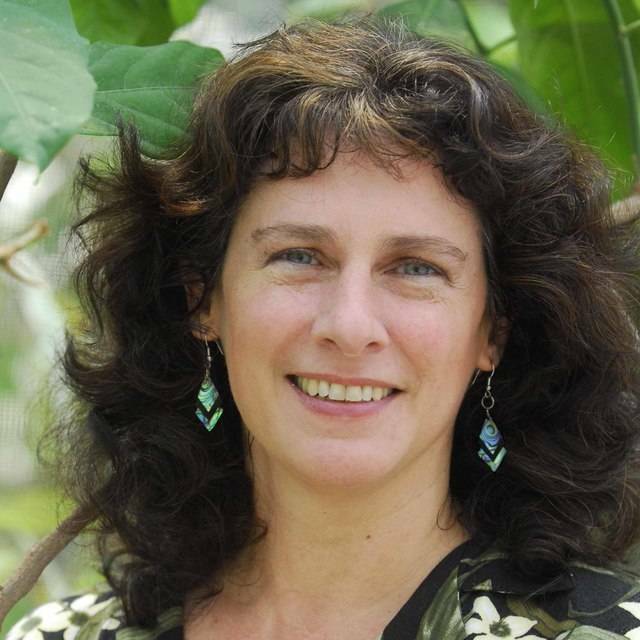 Professor Camille Parmesan received her Ph.D. in Biological Sciences from the University of Texas at Austin in 1995. She then took a post-doctoral fellowship at the National Center for Ecological Analysis and Synthesis in Santa Barbara, California. She is currently a Professor in the Marine Institute at Plymouth University (UK) where she holds the National Aquarium Chair in the Public Understanding of Oceans and Human Health. Parmesan is also an Adjunct Professor in the Department of Geology and a Senior Research Fellow in the Environmental Science Institute at the University of Texas at Austin . Parmesan’s early research spanned multiple aspects of the behavior, ecology and evolution of insect/plant interactions in natural systems. For nearly 20 years, however, the focus of her work has been on biological impacts of anthropogenic climate change in natural systems. Her field work has focused on documenting continental-scale range shifts of butterfly species across both North America and Europe and linking these to regional climate change. Her more recent research has concentrated on global-scale syntheses and meta-analyses of biological responses to climate change across all taxonomic groups. These syntheses have documented the global nature of climate change impacts, spanning all living organisms from microbes to plants to charismatic animals in terrestrial, freshwater and marine systems. This body of research has received several awards from Thomson Reuters ISI Web of Science for producing very highly cited publications, including being ranked the second most highly cited author in the field of "Climate Change" from 1999-2009. In 2013, Parmesan was awarded the "2013 Distinguished Scientist" by the Texas Academy of Sciences, and elected a Fellow of the Ecological Society of America. She has been involved with the Intergovernmental Panel on Climate Change (IPCC) in varying capacities for more than 15 years (e.g. as Lead Author, Reviewer), and was an named official Contributor to IPCC receiving the Nobel Peace Prize in 2007. The intensification of global warming as an international issue led Professor Parmesan into the interface of policy and science. She has given presentations for the U.S. White House and Congressional seminar series, has been involved in several U.S. and international assessments of climate change impacts, and has provided formal testimonies at the national level (e.g. for the US House Select Committee on Energy Independence and Global Warming), as well as at the state level. She has also been active in climate change programs for many international conservation organizations, such as IUCN (the International Union for Conservation of Nature), WWF and the National Wildlife Federation, and served on the Science Council of the Nature Conservancy. Parmesan has received several awards of distinction for her work in climate change and conservation: the National Wildlife Federation’s Conservation Achievement Award in Science (2007); named as "Outstanding Woman Working on Climate Change," by IUCN (2007); and named as “Who’s Who of Women and the Environment” by the United Nations Environment Program (UNEP) in honor of “International Women’s Day” (2007). Her work has been highlighted in hundreds of scientific and popular press articles, such as in Science News, the New York Times, the London Times, National Geographic, Scientific American, Science ét Vie, Audubon magazine, National Public Radio, Earth&Sky, the BBC film series "State of the Planet" with David Attenborough, CNN, CBS Evening News, ABC Nightline with Peter Jennings, ABC Nightly News with Tom Brokaw, and ABC’s “Nature’s Edge” series with Bill Blakemore.